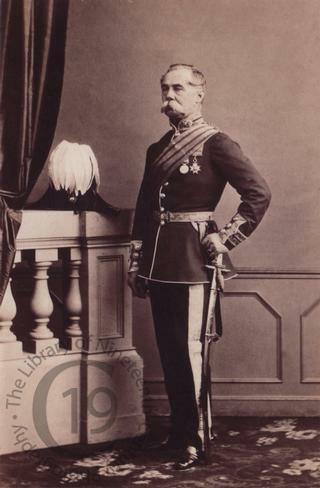 A carte-de-visite portrait of Charles William Morley Balders, C.B., Colonel of the 17th Lancers. In 1837 he married Katherine Anne Hare, daughter of Colonel Richard Hare, Viscount Ennismore. Major-General Balders died, aged 71, on 21 September 1875 at 11 Adelaide Crescent, Hove.